Hi Guys! Thanks for stopping by. 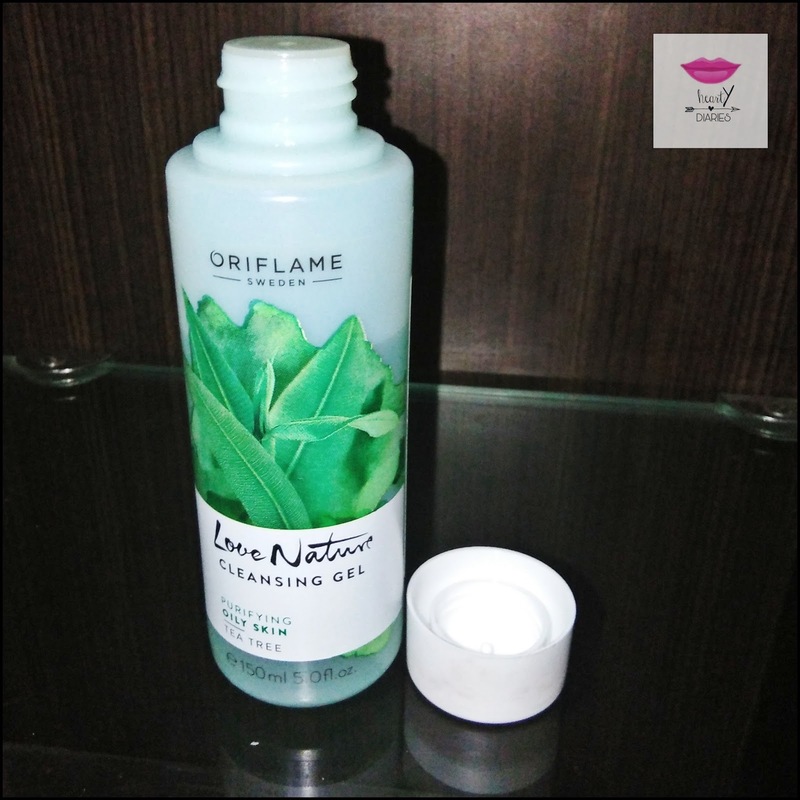 Today I am going to share my review about Oriflame Love Nature Cleansing Gel Tea Tree with you all. Last month I shared my Oriflame Makeup and Skin Care Haul with you guys. I bought this product after that due to which it was not mentioned in the haul. I had a bunch of products to try, test and review but I wanted to review this one first because it is the last but not the least. The reason I bought it was my need to buy something that would throughly cleanse my skin and disinfect and kill the bacteria on my face at the same time as I got really bad breakouts. Tea tree oil is very beneficial for our skin as it unblocks the sebaceous glands, disinfect pores, dries out whiteheads/blackheads/blemishes and reduces spots with its antimicrobial properties. It is known to help target blemishes and purify the skin. Product Description: Love Nature Cleansing Gel Tea Tree effectively cleanses oily skin with the power of Tea Tree essential oil. Removes impurities, make-up and excess sebum, helping to prevent blemishes without over-drying. How to use: Wash your face with Cleansing gel to prevent blemishes. Rinse with water. 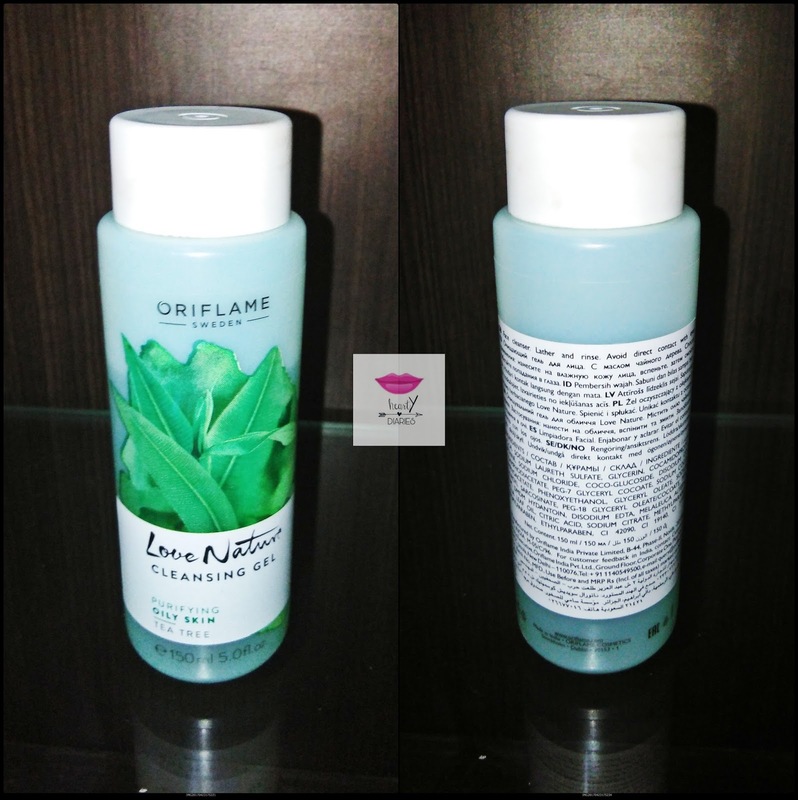 Packaging: The packaging of this cleansing gel is same as Oriflame Sweden Love Nature 2-in-1 Cleanser Wild Rose for Dry Skin. It has a six inch sized pastel green coloured plastic bottle with a white screw cap. Consistency and Texture: As it is a gel, it has to have a gel like consistency but is quite runny and is almost clear with a tint of pastel green in it. 1. Leak proof, sturdy and travel friendly packaging. 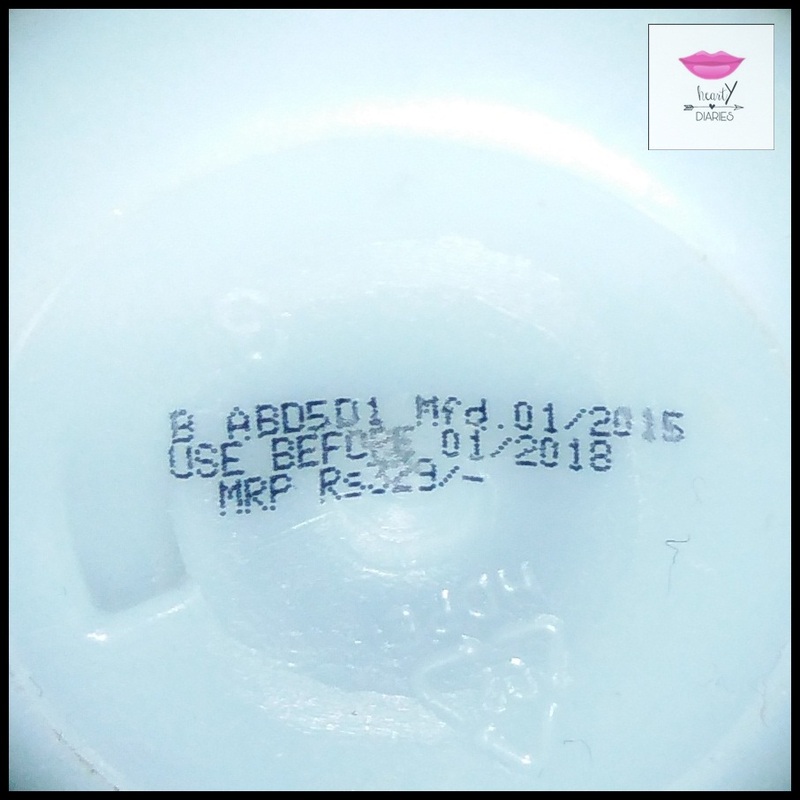 My Experience: As I mentioned, I had been battling with breakouts when I bought this product. I noticed a reduction in the redness of my acne after using this cleansing gel within two days. I kept on using it twice a day on a regular basis and my acne were completely healed within a week. What I loved about this gel was the fact that it prevented the acne from occurring further after healing the older ones and I haven’t got any till now. I kept on using it to see if it works on reducing the scars and to my wonder, it is working well on them too. It does what it claims. The only thing which makes me a little bit uneasy with using it is that it contains paraben which can cause cancer if used over a long period of time. My take on this problem is that I’ll probably switch to another mild and paraben free cleanser for daily use but will use it whenever I feel like my skin is not doing well in terms of acne, pimple and breakouts. I wouldn’t use it on a regular basis. Any product which has a good amount of quantity and the quality is amazing is affordable according to me. This product is actually more worth than its actual price according to me. This bottle is going to last me really long but I will buy it again if I have acne or such skin problems but I wouldn’t buy it for daily use as I don’t want to consume paraben containing products that much. Great review… I have tried this… Its a wonderful product by Oriflame! 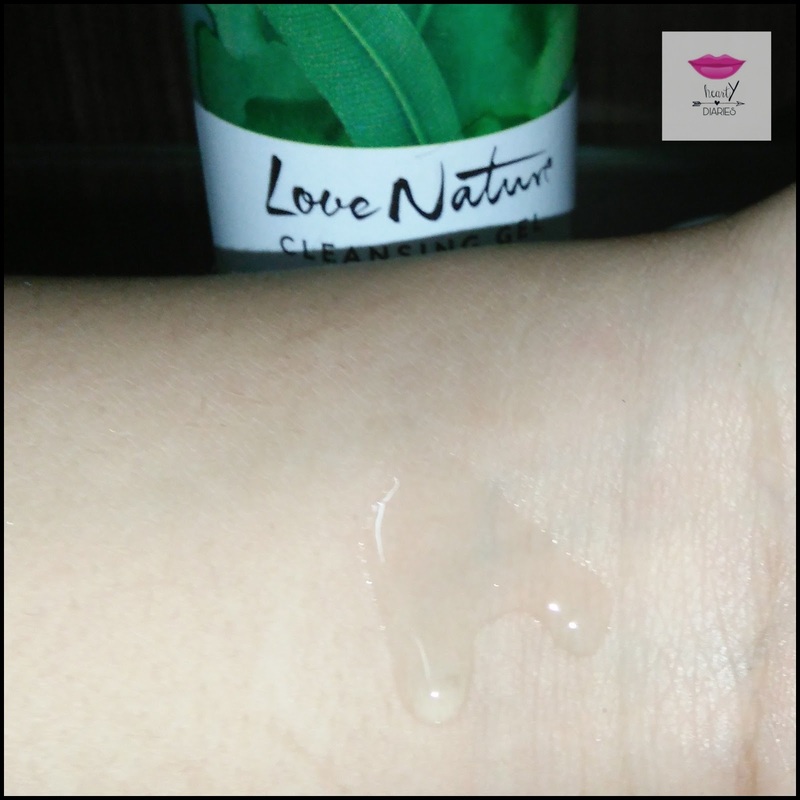 Love nature range is quite good and effective….